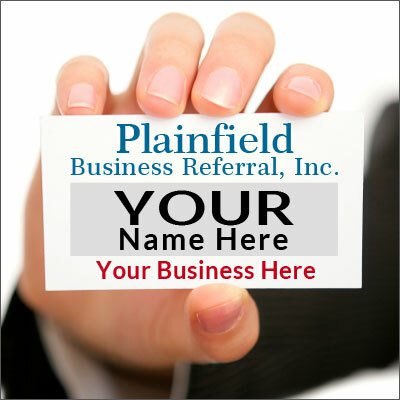 Plainfield Business Referrals is the oldest referrals network in the area by far. This organization exists to promote our member’s business. The group learns about each members’ business and actively refers those services to others. Looking for an honest, local business? Our business members are very knowledgeable, honest and are local vendors in the Plainfield IL area. Need our services? Call any of our members and see why we are the prime group of business owners in this area. Own or Manage a Local Business? Business Networking is a lot of fun! Business networking is when a group of like-minded business people gather and help each other. ... The networking group shares ideas, marketing and management tips, and makes referrals to each other, giving as well as receiving referrals. All participants get to know each other and the member's businesses, and meet with a common goal... to help and support each other by providing genuine opportunities to do business with their own extended network of contacts. If one of my contacts expresses an interest in a service or product offered by a PBR member, I have a relationship with a knowledgeable and honest provider. I feel comfortable sharing contact information, and know he will take great care of my contact. It is like having a dozen businesses cheerleading your business. It works! Plainfield Business Referrals meets weekly for breakfast and it is a great way to meet with old friends and meet new ones! Business owners and managers are invited to visit and find out if we can fit into your marketing plans. Stop in!